Now after years of practice and experience, Lone Tree Leather Works is able to provide you with a truly unique and rare treasure. It allows you to express your passion and love for the outdoors and wildlife/ animals on durable leather that will last for years to come. Because each piece is hand-carved and stamped, no two are ever exactly alike - providing you with a one of a kind piece of art personalized to you. 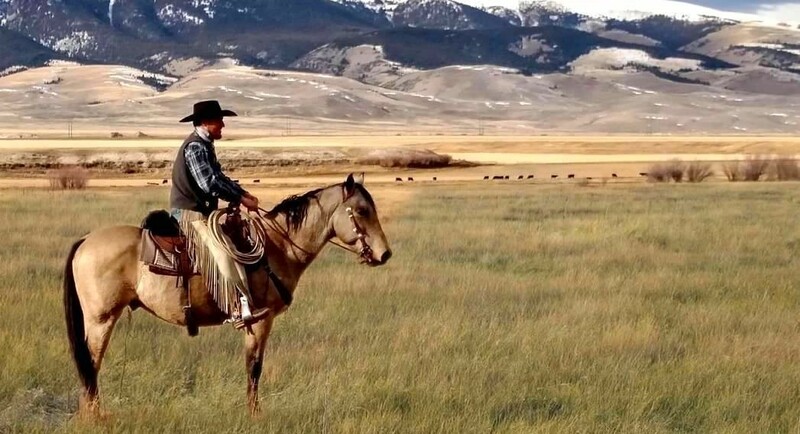 The Briggs family has been big game hunters and outdoors men in the West for over five generations and has always had a great love and respect for the Wildlife of the West. 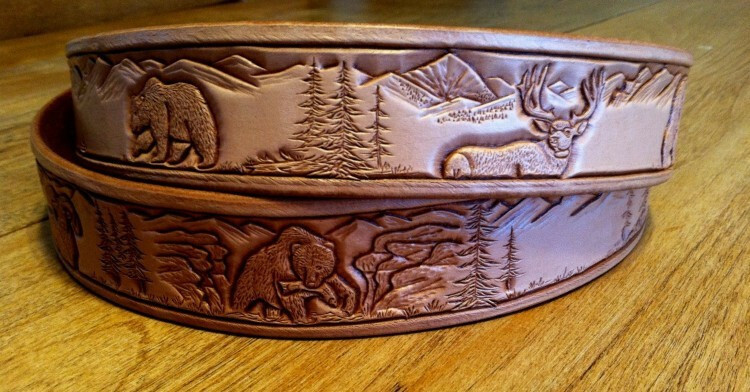 Belt maker William Briggs has been a professional elk hunting guide / outfitter for over twenty years. From William - "Our son Roland is a very gifted artist specializing in pencil sketches, scratch art and sculpture. Naturally, the ol' belt carver twisted Roland's arm into trying his hand at some leather art - we bought him some special tools and WOW - are we excited with the results! 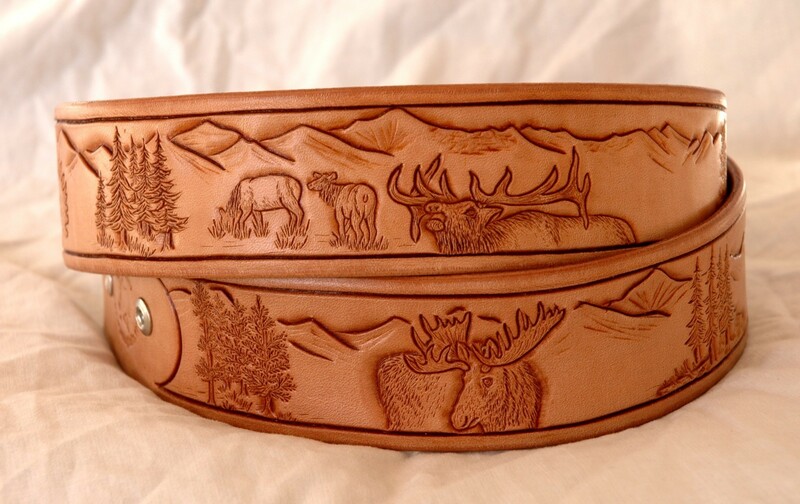 We have carved out a few of these belts with a Rocky Mountain Elk theme - they are amazing and they require a great deal of time and skill to complete." If you are interested in ordering one of these wildlife theme belts, please click HERE to fill out an order form. One thing you can count on, these belts will be completely unique and likely become a collectors item one day. The Western/ Rodeo Series was born when we sponsored a bronc rider. We wanted to give him a little extra personalization on his belt. We filled in what normally would be concho spots with carvings of a bronc rider, something we are happy to offer you today! 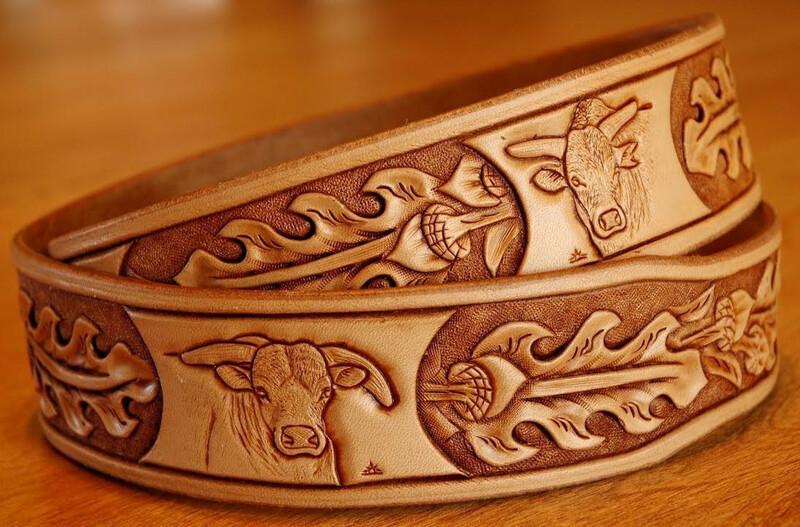 The Series progressed from there - we now offer full custom art belts with a rodeo/ western theme as you see below. Belt maker Roland Briggs truly has a blast creating these belts for people across the world. If you have a vision of a belt you want, he can make it come to life! Get in touch today by clicking the order now button below. 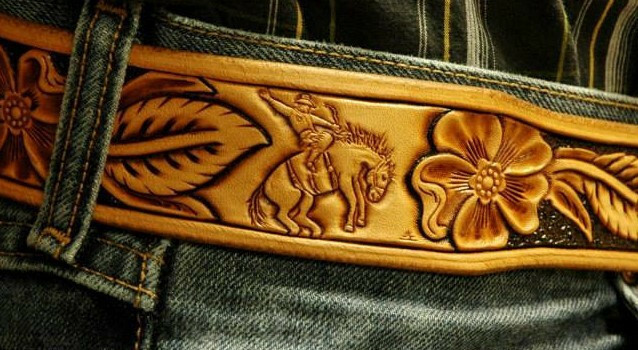 This price includes a full length custom art belt - that is animals and scenery covering the whole belt. Buckstitching, conchos, and other features will be extra. You can find pricing for these on our Add-on Features page. When you place an order, we will get in touch with you about designing the specific details of your belt as well as set a price. The specific details and length of the belt can vary the price. If you are just wanting small images to fill in concho spots on a belt, it is $50 per 2 concho spots. 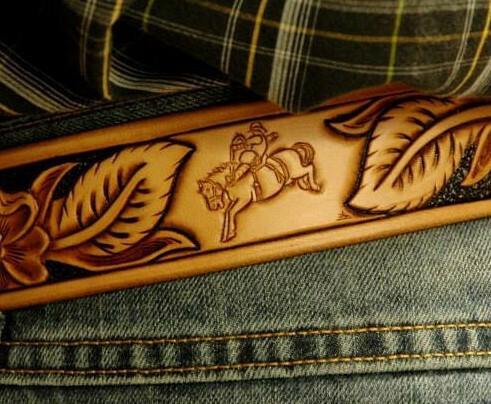 You can see an example of this just here and above with the bronc rider belt. If you want theses smaller images in the concho spots on one of our custom hand tooled leather belts please click HERE to submit an order form. Click photos to see bigger images.